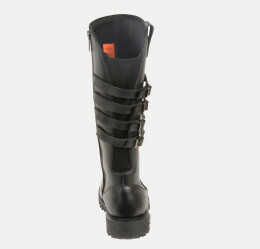 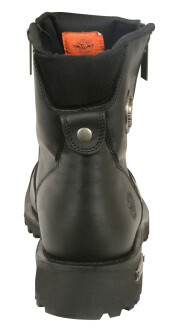 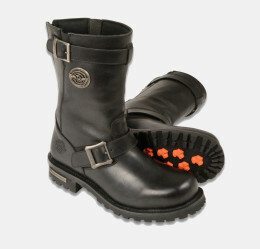 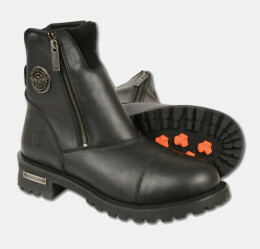 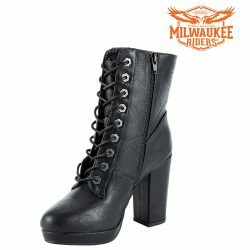 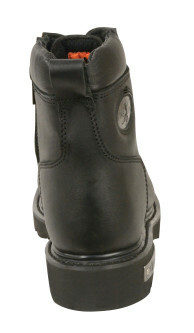 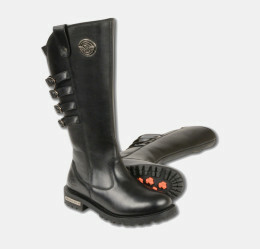 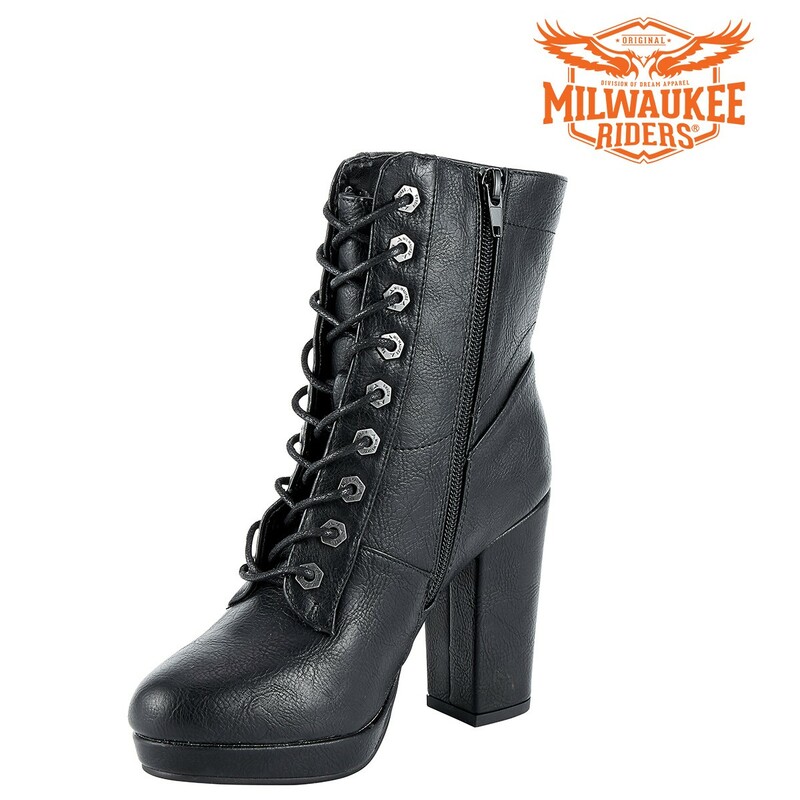 Ladies, you cannot go wrong with our beautiful zippered chunky heel boots by Milwaukee Riders. 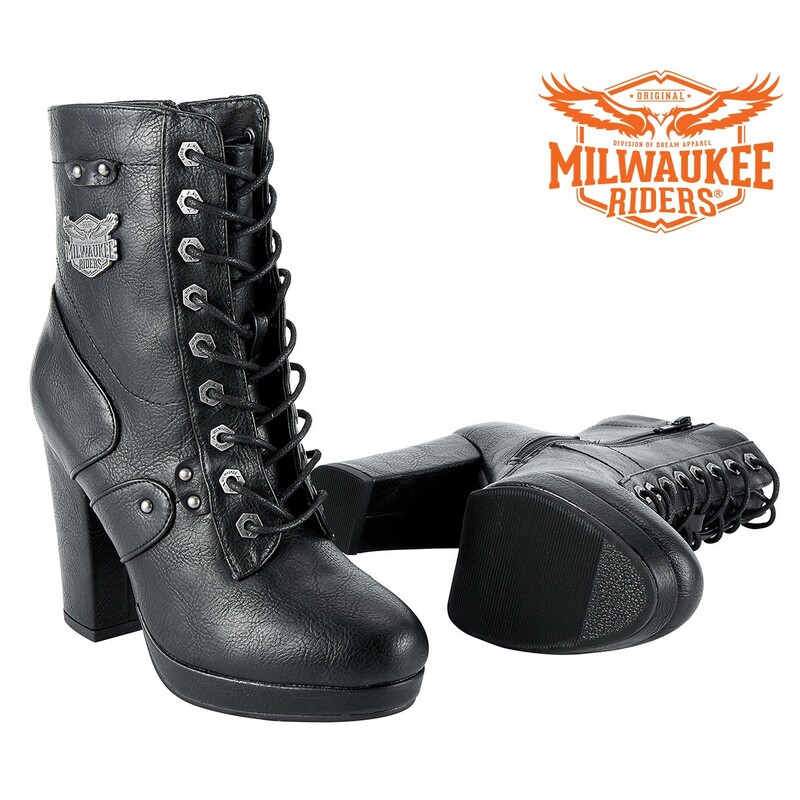 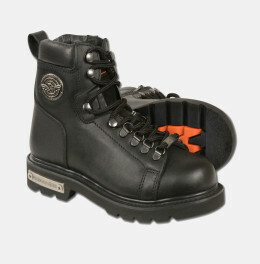 The boots were definitely made with both style and comfort at the forefront. 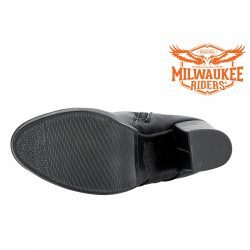 To start off, the zipper not only helps to make it much easier to put on and take off, it’s also a highly fashionable choice. 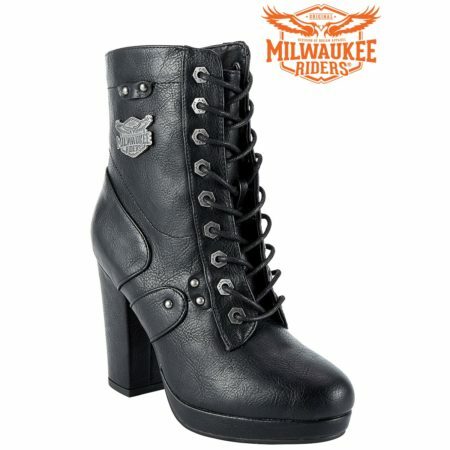 Since the boots are significantly higher, the laces give off a very eye catching look as well. 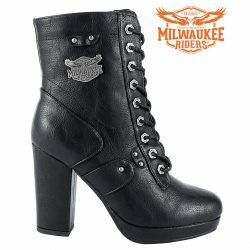 These are definitely a must have, don’t miss out.